Paleo ricotta cheese is creamy and satisfying without the dairy. Even in a side by side taste test it was hard to tell the difference between the really ricotta and this paleo ricotta cheese. 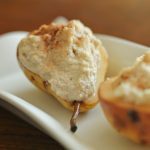 The paleo version is slightly less sweet, and when you press it against the roof of your mouth it doesn't dissolve; otherwise, it gives you a creamy satisfying flavor! It is great in our primal ricotta pears or on top of paleo alfredo zuchini noodles. This ever happen to you? You have a song in your head that a) you have no idea where it came from and b) you can't get it out? Unless I am listening to music, this is me. I spend the majority of my day humming some obscure verse or song on loop. It isn't so bad, but occasionally I'll find some pop song in there, and I worry that all my brain space will be taken up with song lyrics. The first thing I set up in my new house was the music, my little House of Marley speaker so that my kitchen and bar setup could go smoothly. And so I didn't hum Justin Bieber for 4 straight hours. I'm slowly getting unpacked…. I have had a storage space for the last 4 years, and I took everything out of the space and put it in my house. I am completely overwhelmed with my things. I have managed to accumulate so many treasures! And clothes and kitchen stuff, and all sorts of things. My friend read “The Life-Changing Magic of Tidying Up: The Japanese Art of Decluttering and Organizing” by Marie Kondo. She did a magical sort and purge in the spring, and it changed the feel of her house. I want that same calm magic. I have purchased and read the book and am now filled with equal parts dread and excitement. It's almost time. I'm going to brew some tea with my new kettle and hole up for a few weekends. 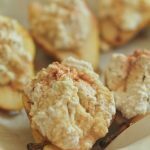 Likely eat some baked pears with paleo ricotta cheese, you know, to keep my energy up. Paleo ricotta is so creamy and delicious you won't even know it is dairy free! Put cashews in a jar, cover with hot water and then refrigerate overnight. 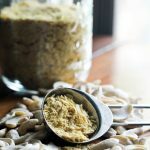 Cashews should be soaked at least 24 hours. 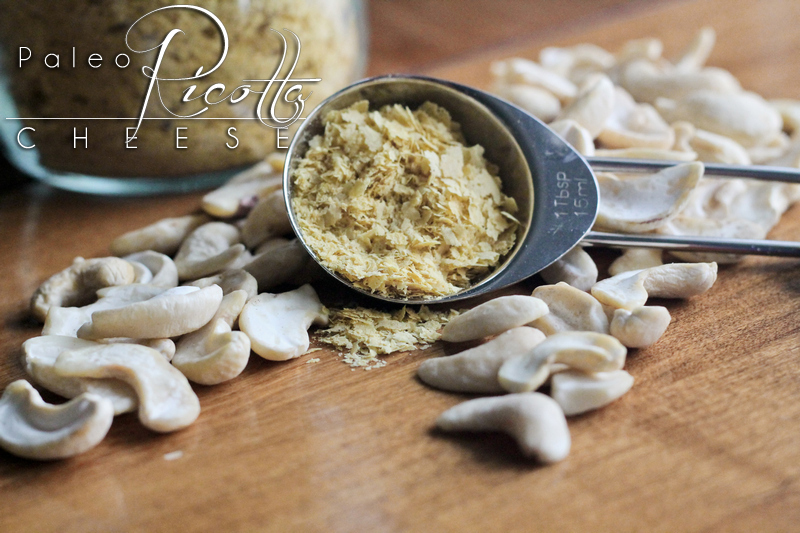 Drain cashews and set aside water (it's great added to soup stock). 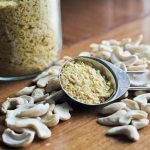 Put cashews, coconut milk, salt and nutritional yeast in a blender or food processor. Blend well 5-7 minutes until it had a creamy smooth texture. Let sit for 10 min or so and then it's ready to use! I don’t see any reason why not, as long as you have a powerful blender. You may need to soak the brazil nuts for longer? It is worth a shot! Let us know how it goes.